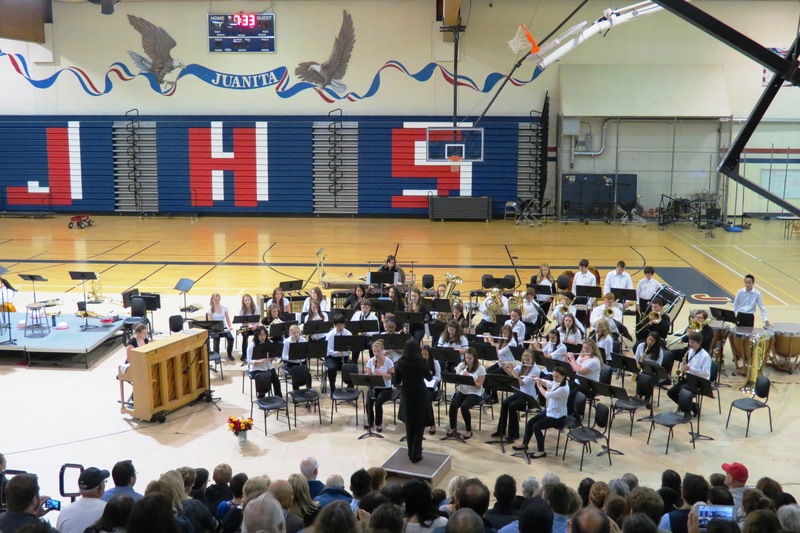 Two of my trumpet students—one current, one past—played in the “Final Concert” of the school year at Juanita High School in Kirkland on 29 May—so I simply had to go! And, as always, I’m very glad I did. One student is in the Concert Band (for freshmen), and the other is in the Symphonic Band (for sophomores). Both bands, plus the Wind Symphony (for juniors and seniors) and the Jazz Band, are under the very capable direction of Mariko Lane. Also on the program were the Concert Choir (all girls) and the Concert Choir (co-ed), directed by Lehua Pischke. 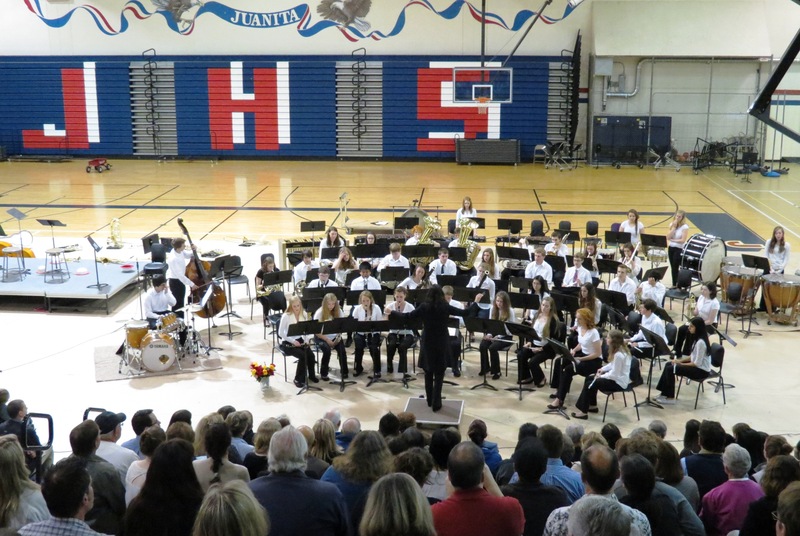 The music was challenging for the musicians and entertaining for the audience. It was evident that Ms. Lane is well-loved by her musicians, who follow her direction with precision. The balance of the instrumental sections was very impressive—for example, she kept the power of the brass in check, and the blending of the instruments was very pleasant. Also, she chose arrangements that featured solos by several of her best musicians. This entry was posted on June 4, 2013 at 10:58 am	and is filed under School Concerts. Tagged: Juanita High School, Kirkland, Lehua Pischke, Little Brown Jug, Lord of the Rings, Mariko Lane, Star Wars Medley, The Phantom of the Opera, trumpet, trumpeters. You can follow any responses to this entry through the RSS 2.0 feed. You can leave a response, or trackback from your own site.